Scottsdale Center for the Performing Arts hosts "Sunday A'Fair" a series of outdoor live concerts on Sunday afternoons in the winter and spring. Very family friendly; pack a picnic and head over for live outdoor music! The Phoenix Symphony offers a series of family concerts with different themes. Phoenix Children's Museum engaging minds, muscles and imaginations of children and the grown ups to care about them. Academy of Classical Ballet located in Peoria! Dance Academy North dance classes near I-17 & Pinnacle Peak in North Phoenix; a place where dancers create, discover and grow as individuals within a team; helping build dancers by improving technique and performance while emphasizing the importance of strong character. Dance Theater West offering little ones the opportunity to learn the joy of dancing with creativity and coordination of body parts, ballet basics, lots of fun with songs and rhythms, 40th St & Indian School. DC Dance located in beautiful DC Ranch! 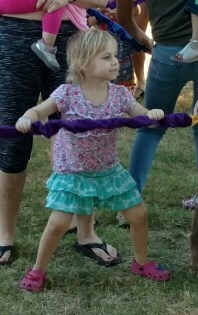 Fit4Mom Metro Phoenix / Stroller Strides keep active with your little one, offering fun fitness classes throughout the seasons! Music Together® moms - try one week of Fit4Mom classes free! A Desert Song mommy + baby yoga, children's yoga and more! Matrescence 4th Trimester planning & support; beyond the birth . . . how to thrive, not just survive: post baby workshops & support! Articles: Importance of Early Childhood Music & More!